Why See LA Phil - Sunday in the Park With George? In tribute to American musical theatre icon Stephen Sondheim on his 90th birthday, the LA Phil, as led by Gustav Dudamel, will celebrate with this fully-staged new production of his and James Lapine's 1984 masterpiece. A Pulitzer Prize, Tony and Olivier-winning triumph, Sunday in the Park with George is a fictionalized version of the life of Pointillist visionary Georges Seurat that explores the need for connection, community and embracing life's many possibilities. Last seen on Broadway with Jake Gyllenhaal in the title role, it continues to capture the imagination, beguile with its wit and wisdom and elicit new emotions with each production. Directed by Zack Winokur, don't miss your chance to see what is sure to be a highlight of the LA Phil's historic season as it enters its 101st year! 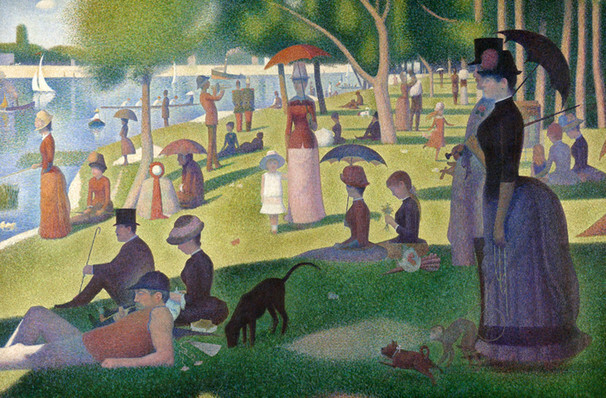 Sunday in the Park with George takes us behind the easel and into the life of unconventional painter Georges Seurat as he faces the choice between creative perfection and personal happiness in the shape of his beloved mistress and model Dot. Layering the past and the present, Sunday meditates on the value of art, passion and love conjuring moving truths through the eyes of the enigmatic artist and his work. Featuring one of Sondheim's most breathtakingly clever scores, the world of Seurat is deconstructed through vignettes and the individuals he renders in oil. 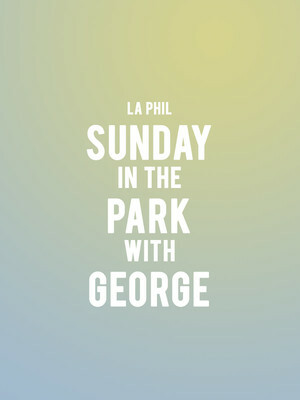 Seen LA Phil - Sunday in the Park With George? Loved it? Hated it? Sound good to you? Share this page on social media and let your friends know about LA Phil - Sunday in the Park With George at Walt Disney Concert Hall. Please note: The term Walt Disney Concert Hall and/or LA Phil - Sunday in the Park With George as well as all associated graphics, logos, and/or other trademarks, tradenames or copyrights are the property of the Walt Disney Concert Hall and/or LA Phil - Sunday in the Park With George and are used herein for factual descriptive purposes only. We are in no way associated with or authorized by the Walt Disney Concert Hall and/or LA Phil - Sunday in the Park With George and neither that entity nor any of its affiliates have licensed or endorsed us to sell tickets, goods and or services in conjunction with their events.